Ya le tocó el turno al disco Rey de XTC; el que para mi representa el cenit de su carrera musical: Nonsuch. 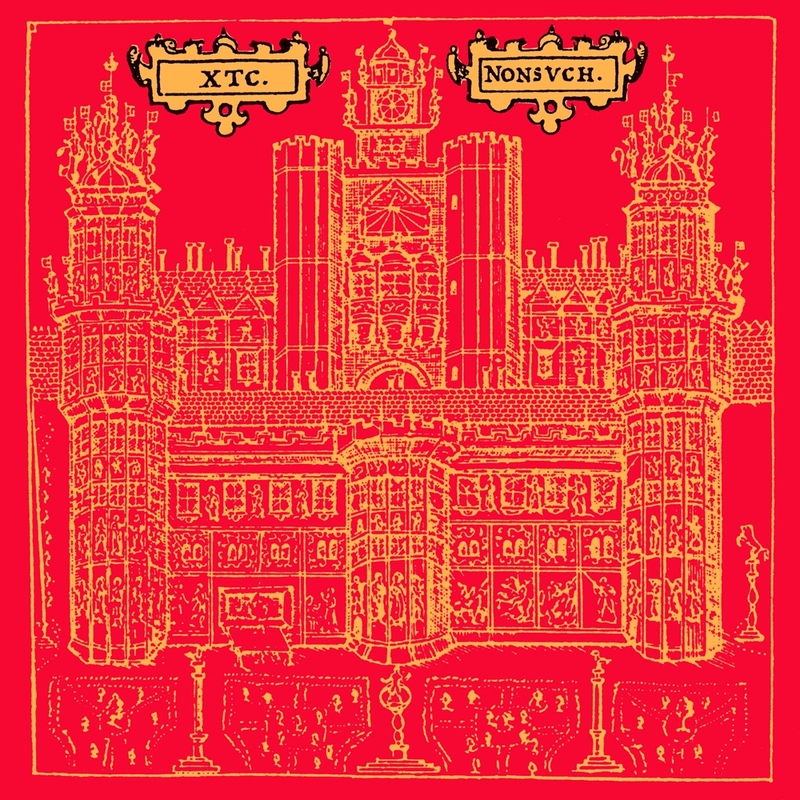 Nonsuch es el décimo álbum de XTC (sin contar los dos que hicieron como “The Dukes of the Stratosphear”),tercer disco doble de la banda y el último que graban con la casa Virgin, después del cual entran en pleitos legales con la misma y fundan un sello independiente. Se trata de un trabajo monumental, a mi juicio la obra maestra del grupo de Swindon, en la que cada tema es una pieza de orfebrería de inestimable valor. El álbum va acompañado de un conjunto de láminas que parecen inspiradas en el arte renacentista, (recuerdan un poco las cartas del Tarot), y que constituyen una imaginería propia y exclusiva de este disco. La portada del álbum es una foto de Palacio de Nonsuch en Surrey , del libro Una breve historia de Ewell y Nonsuch , por Cloudesley S. Willis. El palacio ya no existe, pero en sus antiguos terrenos incluía el actual Nonsuch Park entre Ewel y Cheam . Partridge pensó que Nonsuch significaba “No existe”, cuando en realidad quiere decir “Unico”, “Sin Par”. Fascinado, lo eligió como título del disco. Mas tarde se daría cuenta del error. El disco fue nominado a un premio Grammy como Mejor Álbum de Música Alternativa. El tema "The Disappointed" fue nominado a un premio Ivor Novello. Alcanzó el número uno en la clasificación de álbumes alternativos de los colleges americanos de la revista Rolling Stone y el numero 97 en el ranking de álbumes de los EE.UU. Fue el segundo éxito Top 30 consecutivo de la banda en la lista de álbumes del Reino Unido, alcanzando el numero 28. Del disco se extrajeron tres sencillos: "The Disappointed " (que alcanzó el número 33 en la lista de singles del Reino Unido), " La balada de Peter Pumpkinhead " (que alcanzó el número 71 en la lista de singles del Reino Unido) y "Wrapped in Grey", que fue la manzana de la discordia con Virgin, pues la compañia había decidido retirarla. Se realizaron dos videos promocionales: "The Disappointed" y "La balada de Peter Pumpkinhead". En este periodo, el núcleo de la banda estaba formado por Partridge, Moulding y Gregory, y existía mucha cohesión y entendimiento entre ellos. Los tres pasaban de los treinta años , y Partridge ya era padre. Quizás por eso el disco suena más maduro, por lo que algunos lo han clasificado de senil, creo que equivocadamente. Me parece más bien que con él, XTC sale definitivamente de una época más ligera y a menudo superficial (cuantos genios hay que son tremendamente superficiales?). Para concluir, con respecto a la imagínería de Nonsuch, este conjunto de láminas me recuerda a las estatuas de los Jardines de Bomarzo, las figuras del Mutus Liber, las del Sueño de Polífilo, las del Arte de la memoria de Giordano Bruno, la lengua de los pájaros de Fulcanelli, los Emblemata de Alciato, los arcanos del Tarot, etc. no quiero insinuar con eso que Partridge y compañía fueran alquimistas, ocultistas o algo así, pero si que supieron sacar de la iconografía renacentista un gran partido estético. Les he puesto todas las láminas, una por cada canción, y en muy alta definición por si quieren bajarlas. Una canción de la que quiero tratar con mas detenimiento, por ser la favorita de mi amigo Carlos, es Rook. Dice Andy Partridge que surgió en un momento de bloqueo creativo, en el que se sentía totalmente estéril para crear. De pronto brotó esta canción, y le costó grabar la demo porque estaba ahogado en lagrimas. Tuvo la sensación de ver su propia realidad, de verse cara a cara en un espejo, reconociendo la propia finitud, la propia impermanencia. Dice que ni el entiende la letra, cosa que le da mas encanto a la canción, por lo tanto... quien sabe que significado tiene ese cuervo.... si me permites decir lo que a mi me evoca, te lo digo. En la alquimia medieval, el cuervo simbolizaba el proceso de putrefacción, de desintegración que precede al renacimiento. Algo así como que la semilla debe pudrirse en la tierra para poder germinar. A new decade, a new sound and maybe, just maybe, the best album XTC ever made. In 1992, these Swindonians were not the spritely young things that burst into the ears of the British public some fifteen years previously. These were men in their late '30s, Andy was a father, and consequently Nonsuch is a more mature record than anything they'd released up to this point. I can assure you though, it's not nearly as boring as that description may suggest! Gus Dudgeon's production is so crisp; every instrument can be heard with perfect clarity. It's an enormous breath of fresh air after the suffocating atmosphere of Oranges & Lemons. I'm going to offer an unpopular opinion here and say that Colin's "My Bird Performs" is even better than "The Mayor Of Simpleton", whose lyrical theme it shares. This can be partly attributed to the vastly superior sound quality, I'm sure. The album's longest tracks, which bookend the album, might be considered "arena rock" to some. But any negative connotations the term may hold are entirely negated by the sincerity of their delivery, and the beautifully crafted aural package in which they arrive. Notably, Dave Gregory, too often the unsung hero of XTC, is allowed to shine without being overshadowed by the intentions - good or bad - of the man behind the glass. Let's talk singles. The ones that were, and the ones that got away. Where better to start than "Wrapped In Grey", which somehow manages to fall into both categories. It's the "Imagine" of the 1990s, only a hundred times better. A ballad with real moral fibre and a chorus as inspiring as anything Andy ever wrote. I would have been bloody pissed off if my record label pulled it off the shelves too! "The Disappointed", which received an Ivor Novello nomination, is a terrific anthem for those with broken hearts and the opener a splendid fable. I wouldn't have picked either as the singles to accompany "Wrapped In Grey", however (a testament to the depth of this record). You will not need to paint on a grin when you hear "Dear Madam Barnum". Rather you'll be hard pressed to stop yourself from over-stretching your cheeks muscles. Finally, there's "Then She Appeared". Along with "Wrapped In Grey", one of the five best things the band ever released. Why it wasn't a single is a mystery even Sherlock would struggle to unravel, it should have been even bigger than "There She Goes". There are thirteen Partridge compositions on Nonsuch and honestly there's not one I don't cherish to some degree. I've seen criticism directed at "Crocodile" but I think it's a wonderfully thrashy rocker on the subject of jealousy, and welcome jolt after the soporific "Holly Up On Poppy". Since this is perhaps my favourite songwriter at the peak of his powers I could talk about each song in great depth but I'll try to limit myself to just one more shout-out. "Rook" is another indication of the growing maturity in Partridge's songwriting. There are few subjects more daunting than that of mortality, and this ballad tackles it head on in a way that is both imaginative and memorable. Colin, for his part, delivers another astute miniature observing a curiously British dream in "Bungalow" and stretches his bass-playing muscles on the sarcasm-laden "The Smartest Monkeys". "War Dance" is perhaps the only misfire on this record, but 16 out of 17 ain't bad. Don't believe those who tell you that Nonsuch is pedestrian, samey or "too adult" for the band that were once synonymous with "quirk". Maturity is not a dirty word, and it just so happens that this is one of the most remarkable pop/rock records of the 1990s. It sounds phenomenal, every song seems to reveal something more with each listen and it contains two of the five greatest song XTC ever put out. This is right up there with English Settlement and Skylarking and, depending on my mood, sometimes above the pair of them. XTC's singer/guitarist Andy Partridge claims to have a brain "like an exotic dog which needs walking occasionally." The result of letting him out for his most recent run is the batch of 13 songs he's written for Nonsuch, the band's long-awaited tenth album (bassist/singer Colin Moulding contributes a further four tracks). The latest XTC record is, Partridge acknowledges, very different to Oranges and Lemons, the band's 1989 triumph. "It's not as immediate, and that's the way we want it. Oranges and Lemonswas right for the time, but it sounds cluttered to my ears now. Nonsuch is simpler sounding; our producer Gus Dudgeon forbade us to record any more than the bare necessities." 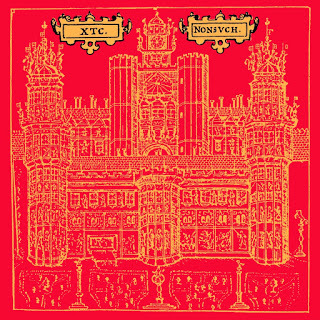 Although the production of Nonsuch (which means "without equal") is relatively straight forward, the album's lyrics are suffused with XTC's trademark mixture of the sardonic and the celebratory. "The outside world is dreadful and wonderful," explains Partridge. "When I cut it into bite-size chunks and make it personal, I'm usually rather happy with it. It'd be terrible if it was all one thing -- in life or on an album. That'd be like service a banquet of only green jello. We prefer a more balanced diet. We don't deny any emotion a song dictates." One unfamiliar aspect to the new album was Partridge's method of composition; he penned many of Nonsuch's tracks on the keyboard, an instrument he calls "this grinning shark -- stroke its teeth and any minute it'll swallow you up." In fact, he's so unfamiliar with the device, he plays it "by drumming on it, two fingers here, two fingers there." Hence "Wrapped In Grey", which sounds "part Burt Bacharach, part Brian Wilson -- sort of Burt Wilson." The erstwhile Beach Boys leader cropped up again when Partridge wrote "Books Are Burning." "I worked out the Beach Boys' ‘I Get Around’ just to see how it was put together. And I thought, those are nice chords, shame to see them go to waste. We like to have mischievous fun, but we never steal knowingly." Some of XTC's best ideas come from the remains of old records, and Partridge will go to great lengths to fillet out promising scraps. When the pop pathologist decided to examine the noisy middle passage in Pink Floyd's "See Emily Play" he discovered the warped piano figure which now drives "Omnibus". "Often in the studio someone would say ‘Can we get the drums a little more like Little Eva's “Locomotion”? And let's have Neil Young playing the guitar ...’ These are just ideas you want to kidnap to build the perfectly proportioned Frankenstein's monster." (Each member of XTC has a home studio and guitarist Dave Gregory takes this love of old records to extremes in his painstakingly assembling miniature versions of rock epics. Notes Partridge, "He's made an extraordinarily faithful ‘Strawberry Fields’, an amazing ‘21st Century Schizoid Man’. Even ‘McArthur Park’. He's done Todd Rundgren better than Todd Rundgren." The stereo in the Partridge household plays the sounds of the Sixties -- the 1660's, that is. Madrigals and ballads played on lutes and recorders and other bits of low tech gear. Any brushes with the mainstream that XTC's had over the years have been purely coincidental. The band is still flourishing after a decade and a half because its members continue to challenge themselves, never settling for the predictable or resorting to the formulaic. Forged in the unglamourous town of Swindon, Wiltshire (where the band is still based today), XTC burst onto the London scene in 1977, during the height of the punk explosion. The band, in its original line-up of Partridge, Moulding, Barry Andrews (keyboards) and Terry Chambers (drums), soon impressed both critics and audiences with its humor, sharp intelligence and vitality as well as its innovative rhythms and melodic twists. The first XTC albums, White Music and Go 2, were released in 1977, bring the group cult status in American, where the records were only available as imports. The next year Barry Andrews left, replaced by Swindon guitarist/keyboardist Dave Gregory, and XTC released its breakthrough album, Drums and Wires. The record included the band's foundation for success in the U.S. with an official American release. Sure enough, XTC's next album, Black Sea, a landmark in the band's songwriting development, entered the American Top 50 in 1980. Major changes were, however, in the offing. Following 1982's English Settlement double set -- which included the British hit "Senses Working Overtime" -- five years of gruelling touring came to an abrupt halt. While onstage in Paris, Partridge collapsed from exhaustion. Shortly afterwards, XTC stopped touring for good from a combination of frustration with reproducing the band's music live and Andy's mild case of stage fright, adding yet another chapter to the band's growing legend. With the departure of Terry Chambers, the three-piece XTC signed an American deal with Geffen Records. The fruit of this union was the album Mummer (1983), an acoustic-flavored outing which signalled a new maturity for the band. Geffen then re-issued the compilation Waxworks: Some Singles 1977-1982 and the group's entire catalog to date. Later in 1984 came the new studio album The Big Express, revealing a harder, bluesier side to XTC. The following year saw the debut of XTC's psychedelic alter egos the Dukes Of Stratosphear, with the U.K.-only release 25 O'Clock. The Dukes' retro cool assault was reprised with the 1987 Geffen album Psonic Psunspot which included the alternative hit "Vanishing Girl" (The two critically-acclaimed albums are combined on Geffen Records' Chips From The Chocolate Fireballanthology). Although there will be no further Dukes records, rumors persist that Sir John Johns and company will be reincarnated as a bubblegum outfit. Between the Dukes Of Stratosphear's warped homages came 1986's glorious Skylarking and the irony of an XTC hit that was initially a non-album B-side. The controversial "Dear God." Both the single and the album set the stage for Oranges and Lemons, America's #1 alternative in 1989. While working on Nonsuch, XTC cleaned out the vaults. Last year, Geffen re-issued several of the band's albums for the first time on CD, including additional tracks not on the original releases. The band also served up Rag & Bone Buffet, a compilation of tracks never before released in the U.S. or on CD. Today, all of the band's 12 albums -- the last six originally released by Geffen in the U.S. -- all but Waxworks have been released or re-issued by the label on CD (look for Waxworks to be released on CD mid-summer). Though XTC has enjoyed a consistently successful career, the group has always shunned the conventional trappings of rock n' roll stardom, preferring instead more traditional pleasures, from family and children to loitering around Swindon's second-hand bookshops. "We're not everybody's idea of rock stars," Colin Moulding gladly concedes, "so some people see us as oddballs. Even the kids in our town are bewildered when they see me walking the dog after watching us on TV in a video. But we cut our own furrow. That is just the way we are." XTC has always been one of the most distinctively English groups in the pop arena, and nowhere is that clearer than on Moulding's "Bungalow", a three minute paean to a disregarded corner of English life. "We tried to evoke this aching desire to own a bungalow by the sea," says Andy Partridge, "and imagined the song set in an out-of-season seaside resort. In the studio it helps people to get into a pictorial state of mind if you give them a set to play in. You might say ‘can you play it like you're on the edge of a chasm?’ Or ‘like you're cycling round Belgium?’ You have to give people a role to play in the carnival. Then they can convert your wishes into musical forms." All this takes place under what Partridge calls "my own benevolent dictatorship. In the studio I become a cross between Walt Disney and Benito Mussolini." It must have been the Disney side which caused him to write "Holly Up On Poppy", a song about his daughter and her rocking horse. "I know writing about your children is well into the tacky sphere. When McCartney does that sort of thing I could murder him with a rusty Black and Decker. But I've fallen into the same abyss, apparently. I hope I don't come out too covered in treacle. Some people will see the track as candy floss hell, others will see it as natural." Nonsuch was helmed by veteran producer Gus Dudgeon after a year's delay, during which numerous other top-ranked names were connected with the project. Former XTC producers Hugh Padgham and Steve Lillywhite were set to join forces (they even agreed to halve their fees), but Lillywhite's scheduling problems prevented the reunion. Former Led Zeppelin bassist John Paul Jones proved too expensive, as did stellar U.S. knobman Tom Lord Alge. Even Bill Bottrell, engineer on Michael Jackson's Dangerous, was ready to ship his vintage valve equipment to England, but the deal fell through. "It's been a long and difficult birth. An elephantine gestation." But it's been worth the wait, says Partridge, adding, "It sounds corny but on a scale of proudness, this album's a 10. It has some of the very best songs we've ever done." Although Nonsuch represents yet another confident stage in the continued growth of XTC, don't think for a second that the band suddenly craved the limelight. "We don't want to be praised and idolized," insists Andy Partridge. "We want our songs to be well-regarded. Love our songs, don't love us." XTC's songwriters, Andy Partridge and Colin Moulding, recently talked about the tracks on Nonsuch (Geffen Records), the band's 12th album. Produced by Gus Dudgeon, Nonsuch, was recorded from July to October 1991 in Oxfordshire, England. The first single is "The Ballad of Peter Pumpkinhead." Ahora que la etiqueta del pop, a menudo denostada como indicativo de lo efímero, frívolo y facilón, se está pervirtiendo más que nunca, reivindiquemos a grupos como XTC. Mientras a las nuevas generaciones les brindan la bandeja del pop en el sector de la comida rápida y grasienta, e iTunes te propone en ese apartado a Justin Bieber, Beyoncé, Britney Spearsy One Direction y otras borracheras de autotune, recordemos que hubo un tiempo, hasta hace nada, en que el pop también era sinónimo de orfebrería aplicada a la canción de tres minutos. Odas a la inmediatez, el gancho instantáneo y la melodía tarareable, pero practicada por auténticos eruditos en la materia. O sea, gente que sabía cómo construir una melodía, ensalzarla con arreglos inesperados y dotarla de contenido de alta gama con letras brillantes, ingeniosas, evocadoras, enigmáticas, incluso literarias. No vamos a hacer repaso de la brillante carrera de XTC desde finales de los 70, de su equivalencia con The Beatles en cuanto a su retirada de los escenarios a los pocos años debido al creciente pánico escénico de Andy Partridge para dedicarse a la minuciosa elaboración en estudio de obras maestras como Mummer (1983) o Skylarking(1986), o de la semidesaparición del grupo en los últimos años, desde que publicaron las dos partes de Apple Venus (1999 y 2000), entre otras cosas porque hace muchísimo tiempo que el grupo que sintetizó el éxtasis en tres letras mucho antes de que existieran las famosas pastillitas no era un grupo como tal, sino el proyecto de Andy Partridge ya solo secundado porColin Moulding. Pero aprovechemos que se reedita Nonsuch (1992) para recordar aunque sea un par de canciones de otro de sus grandes discos, impecable de principio a fin. Esta reedición viene avalada por una de esas zarandajas: la remezcla en 5.1 (¿a quién le interesa eso?) a cargo de un Steve Wilson que se está poniendo morado de retocar, generalmente para mal, discos que sonaban muy bien como salieron en su momento, con el consentimiento de sus autores, eso sí. Mejor tomemos de la estantería el CD original (o la cotizada edición en vinilo: el disco es de la época en que se suponía que el vinilo estaba caduco y ya no se editaba en ese formato o solo en tiradas escasas) y disfrutemos con su inagotable variedad, su inspiración permanente, su capacidad para mirar de frente, quizás como ningún otro grupo, a la inventiva abierta de miras de The Beatles o de Brian Wilson. De My Bird Performs a The Smartest Monkeys de Then She Appeared a War Dance se despliega toda esa grandeza del pop. Aunque sea en Youtube, disfrutemos de nuevo de la perfección y el vitalismo de The Ballad of Peter Pumkinhead y The Dissapointed, dos inmarchitables singles que de paso nos sirven para recordar el tiempo en que en la tele se veían y se escuchaban buenos videoclips y buena música. Porque si te pones The Ballad of Peter Pumpkinhead a buen volumen y no vibras, es que estás en el lado equivocado del pop. En la foto de arriba: estatuas de los jardines de Bomarzo. A que estaba linda Marilyn? jaja espero que lo hayan disfrutado! Excelente reseña para un disco extraordinario! Gracias Canario!